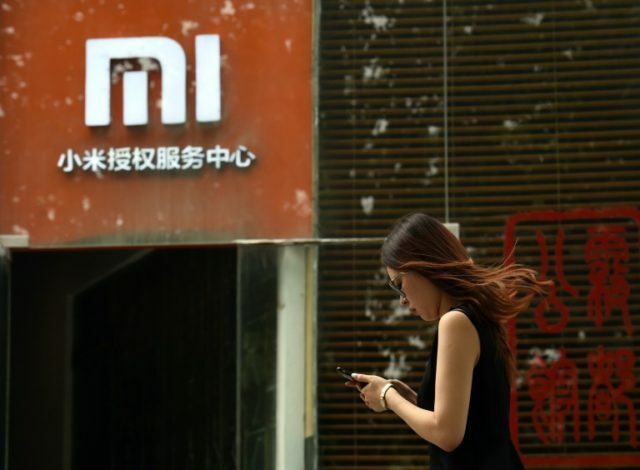 Hong Kong (AFP) – Chinese smartphone maker Xiaomi kicked off its initial public offering Thursday but the firm is likely to pull in about $6.1 billion, far less than originally expected, with investors having mixed views about its main business. Xiaomi had hoped to raise $10 billion with the Hong Kong IPO, making it the biggest since Alibaba’s $25 billion New York debut in 2014 and valuing the company at about $100 billion. However, the firm is offering 2.18 billion shares at HK$17-HK$22 apiece, according to Bloomberg News, which values it at about $53.9-$69.8 billion. Xiaomi had hoped to be the first company to list shares in Hong Kong at the same time as launching new Chinese Depository Receipts (CDRs) in Shanghai under new rules announced in April by mainland authorities to open up markets in the world’s number two economy. But on Tuesday it put off its decision on listing the CDRs until it completes its IPO in Hong Kong. The China Securities Regulatory Commission said it has cancelled a listing review originally scheduled for June 19. This delay, as well as differing market views about Xiaomi’s business model, were also among reasons for the lower valuation. CEO Lei Jun claimed it was an internet services company making money via online games and advertisements despite 70 percent of its revenues coming from selling hardware, particularly smartphones. The firm, which mainly sells cheap but high-quality smartphones in China, is looking to push into Europe — recently opening its first flagship store in Paris — as the home market reaches saturation point. China Mobile Ltd and US wireless-chip giant Qualcomm are among the cornerstone investors and it is expected to list on July 9. Chinese authorities devised the CDR programme, under which homegrown companies listed abroad can simultaneously list at home, after watching technology heavyweights Alibaba and Baidu list on Wall Street. The objectives of the plan include helping to develop China’s still relatively immature and volatile share markets while allowing domestic investors to invest in the country’s big tech champions. Alibaba and Hong Kong-listed Tencent have expressed an interest in the plan. Xiaomi shipped 28 million smartphones worldwide from January to March, an 88-percent surge year-on-year. That was fourth in the world after Samsung, Apple and China’s Huawei, according to figures from the International Data Corporation.